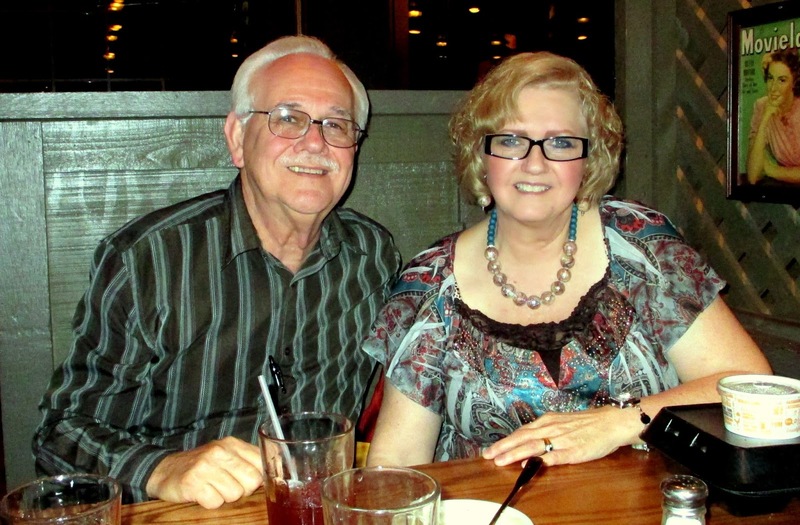 For those who don't know, Paul and Mary were fulltime RVers for four years and recently settled into a new-to-them home in Kansas but keeping Bullwinkle, their motor home. 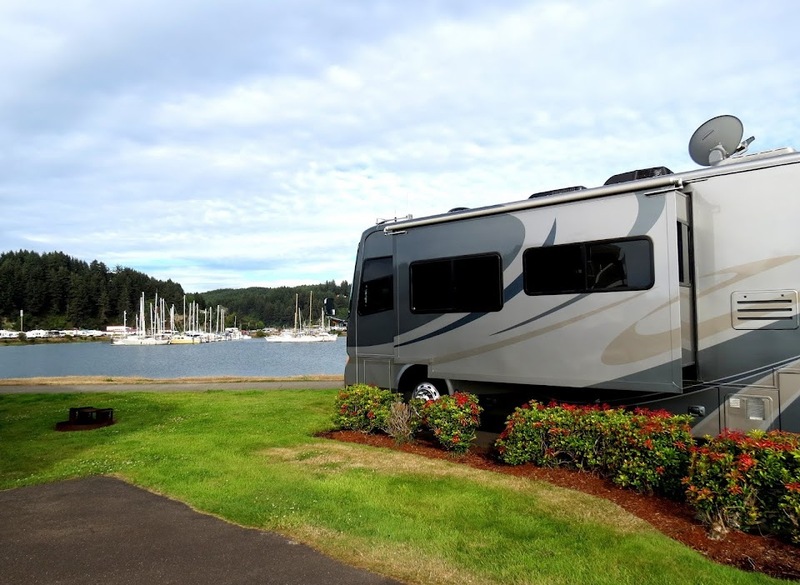 Mary, a gifted writer, chronicled their early retirement in California and their escape from hectic careers in The Great RV Escape, a very readable blog in which we enjoyed every post. We all had many laughs as we talked about our lives in retirement and the blogger friends with whom we are mutually acquainted. It is always amazing that we know so many of the same people--friends made through our years of RVing and reading the same RV bloggers. Now, about the restaurant: I had suggested "Joe T's"--as this restaurant has come to be known over the years--and Paul and Mary readily agreed. My suggestion was made largely because it is an iconic Mexican restaurant near the Stockyards with a rich history and it is a must-visit place for tourists. It also has one of the nicest patios anywhere for outdoor dining. Unfortunately, these are the only reasons to patronize this place; don't come here for the food, which is plentiful but mediocre at best. They offer only two menu items: A fajita dinner or an enchilada dinner, and there was nothing memorable about these except the significant portion that I left uneaten. 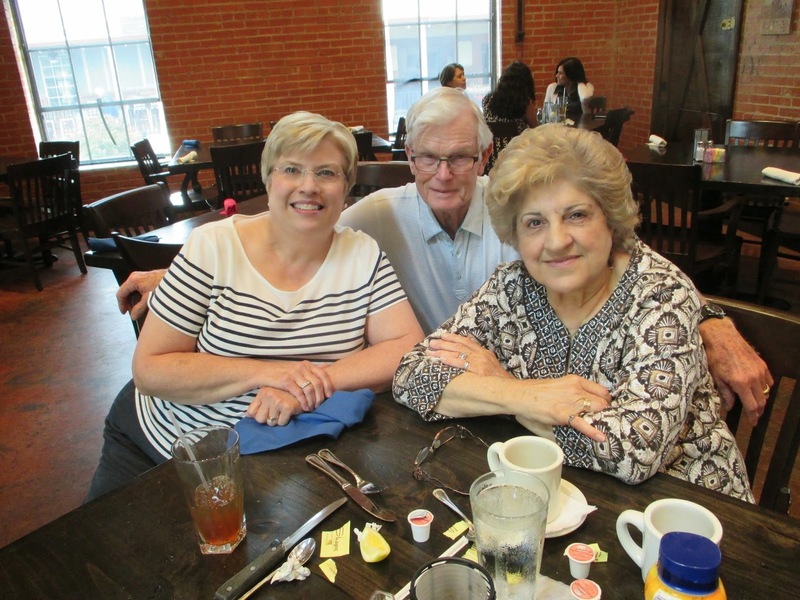 I was a bit chagrined, of course, by having picked a restaurant that I knew to be flawed in the food department, but I reconciled it by thinking that I had helped Paul and Mary achieve this rite of passage in visiting Joe T's and completing the Fort Worth cowtown experience for them. They didn't seem to mind, though. The evening on the patio was perfect, and we lingered for three hours, enjoying their company. Godspeed and safe travels, you two. We still think you will make good Texans some day. There have been a couple of interesting firsts for me during this visit with our kids and grandkids in Houston. One was my stint as a judge in a barbeque cookoff in Conroe, and the other was a visit to Suire's, a fabled country store near Abbeville, Louisiana. 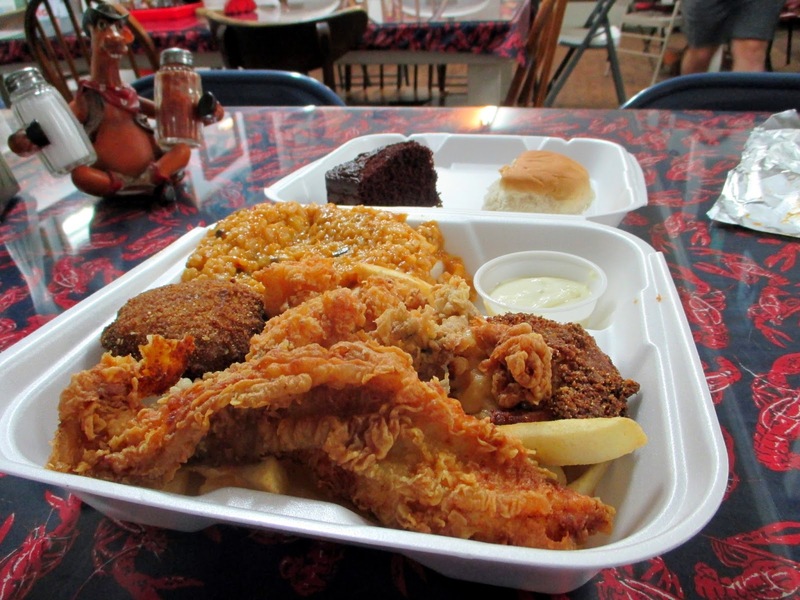 And while I'm at it, I'll go ahead and mention Parrain's in Baton Rouge as well. First the cookoff: SIL Tyler, who apparently has risen to semi-muckety muck status in the annual Conroe event, invited me to do some judging, and I happily accepted. I thought it was high time these folks were given the opportunity for a true BBQ connoisseur to opine on the fruits of their labor! When we arrived, I was quite surprised at the scope of the cookoff; 128 teams were cooking, and the variety of pits and barrels and other smoking devices was astounding. All the participants seemed happy for passersby to sample their food and admire the handiwork and decor of their spaces and cooking garb. Boy, did it ever smell good in Conroe! There were quite a few judges sampling categories of chicken, ribs, pulled pork and brisket; I was asked to judge pulled pork, which was fine with me. 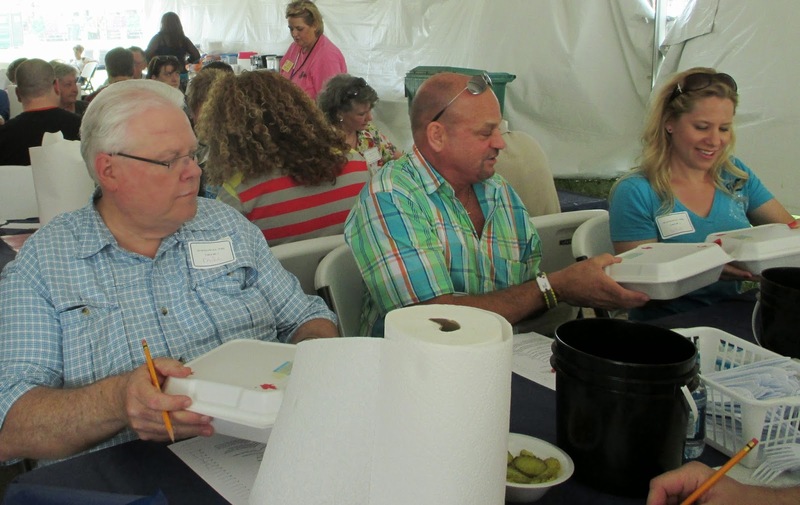 Our panel judged the semifinals--fourteen samples that had been pared down from around a hundred entries. We were asked to rank the submissions on a scale of one to ten for several aspects, including taste, texture, appearance, etc., and my lowest score given was a two and the highest a nine. The judging was very well organized and monitored, so I didn't have a single opportunity to cheat! (Sorry, Tyler.) However, I was happy that Tyler's team showed well in several categories, even without my help! He and his teammates won their placements fairly and deservedly, for sure, without any funny business from me. Yours truly, preparing to judge a pulled pork submission among other judges. Note my official judge's badge! While we were already in Houston, Sandy and I made a quick overnight road trip in Mae to Baton Rouge, where we took a look at an Allegro Bus that might have been a candidate for upgrading from Phannie. (We didn't tell Phannie we were going; she would not have understood.) Upon arrival, we checked with the locals, of course, for recommendations of the best restaurants. 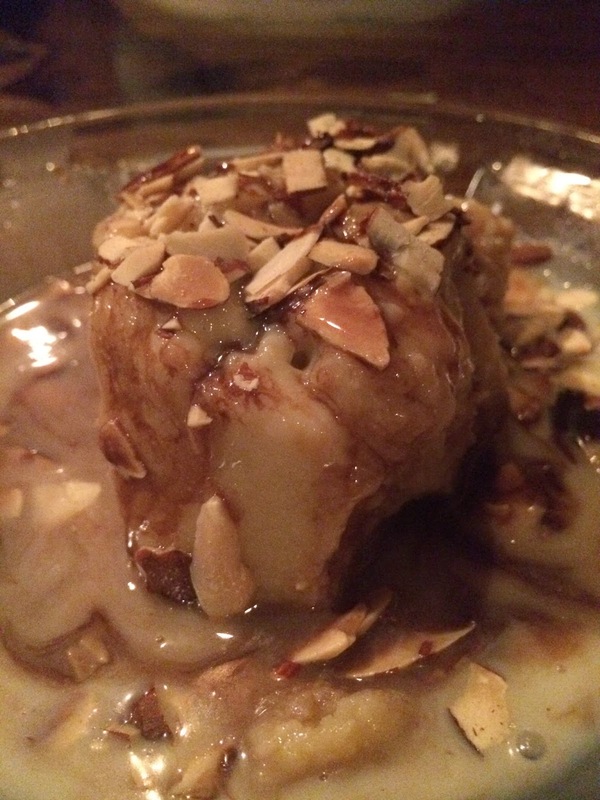 We settled on Parrain's, a rustic seafood house on Perkins Street, where we had some of the best seafood and bread pudding ever. May I highly recommend the filet Vermilion and the bread pudding with white chocolate sauce. There is no charge for the choir of angels that will certainly accompany these fiendishly decadent dishes. This bread pudding at Parrain's should be illegal. For everyone but me. It didn't take us too long to consider that the wide price difference being asked by the dealer between our coach and the newer one, coupled with the cost of adding the upgrades Phannie already has, made no sense financially. We've decided to keep that money working in our investments and go instead back to Red Bay for some more goodies for Phannie, like installing a residential refrigerator and replacing her carpet, among other things. 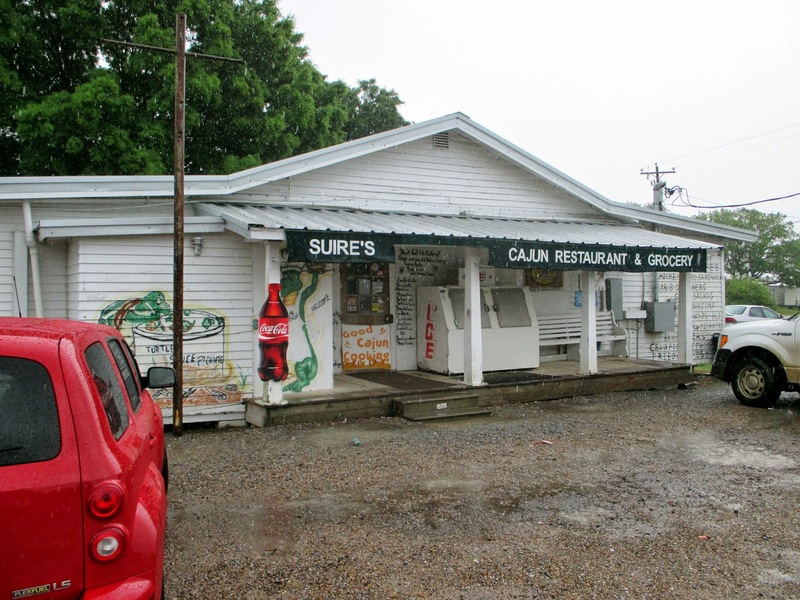 On our return trip to Houston, we decided to take a detour down to Kaplan, Louisiana for lunch at Suire's, an old-fashioned country store and restaurant in the middle of nowhere, but not far from the legendary Betty's RV Park near Abbeville. 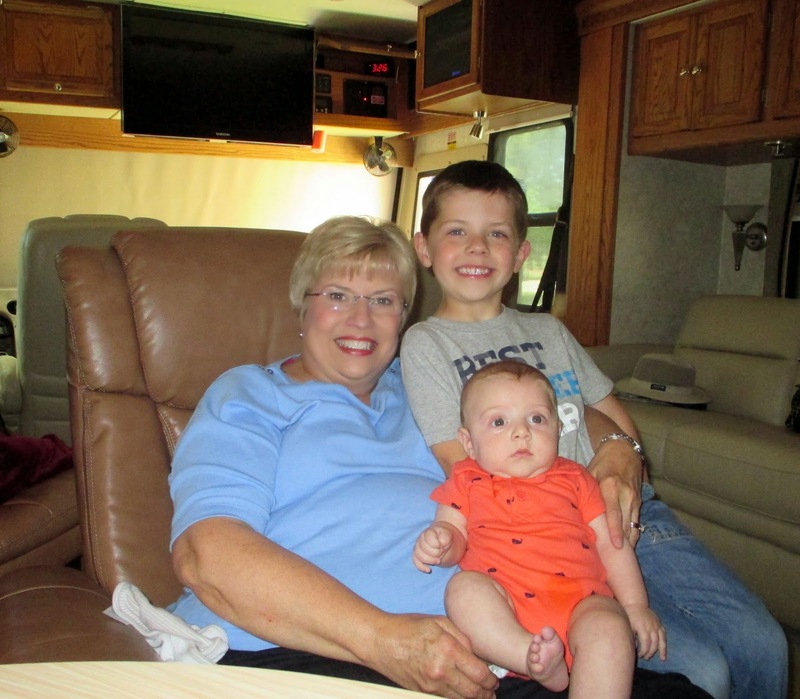 If you haven't heard of Betty's, you probably haven't read many RV blogs. Betty's has a large cult-like following among RVers, and staying there is almost a rite of passage. We haven't had the experience yet, but we definitely have plans to do so. Anyway, Suire's (pronounced Sweers) is a joint where the food is home cooked and cheap, and the people are down-home friendly--a place certainly among Betty's top recommendations for her guests. Since I wasn't quite sure of the name of the store and its location, I gave Ed (of Ed and Marilyn fame) a call for help. He responded instantly with all the information needed, and we headed out. In about a half hour south of I-10, we came upon the place, a ramshackle white frame building at the intersection of two country roads. For a foodie, this was like striking gold; I just knew the food would be good. We had the sampler seafood platter, and boy, was it fine. No supper for us, for sure! Thanks, Ed, for the good directions. Back in Phannie I couldn't resist this photo of Sandy and the grandsons. Gosh, they change every day! We have set up at Rayford Crossing for another week or so near the kids and will celebrate Easter with them. It is somewhat noteworthy that I finally drove Phannie here LEGALLY! 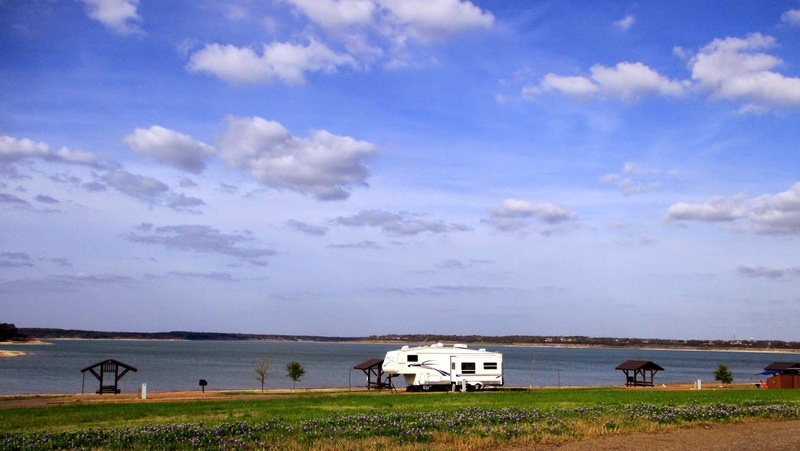 You see, I had assumed (bad idea, hence the title of this post) that a standard class C driver's license would be quite sufficient for operating a motorhome in non-commercial use in Texas. After more than three years of driving Phannie around the country, I found out that a class A or B (normally classified as commercial) license is required-- with a waiver from the commercial part--when you operate an RV weighing more than 26,000 pounds on Texas highways which, of course, Phannie does. For goodness' sake, Sandy's clothes in Phannie's bedroom closet probably weigh that much! How did I not know about this licensing requirement? Certainly, the salesman who sold Phannie to me failed to mention it (no surprise there! ); none of the MH owners I know ever mentioned it either, and I only discovered it reading a blog post of another MH owner who was also surprised to learn of the requirement. Yes, I am guilty of having made an assumption instead of checking it out. I know better, but growing older seems not to have made me wiser in this case. After considering just blowing it off as a protest to yet another regulatory atrocity, I suddenly had a vision of a trial lawyer's questioning me before a jury as to whether I was properly licensed to drive my motorhome at the time of the accident. Then I realized that if I answered that question in the negative, I would probably be left destitute by the jury award, irrespective of my responsibility for the accident. So, I printed the forms I needed from www.txdps.state.tx.us/driverlicense/commerciallicense.htm, got them notarized per the requirements, and took them to the DPS office for a long, painful wait for processing and setting up a computer-based written test and a road test with a DPS officer. The clerks gave me a commercial license study guide and briefed me on the parts that were applicable. After reading through the material a couple of times, I came back and made 90 on the exam--more than good enough. The next day, I brought Phannie back for the road test, which lasted about a half hour. Worthy of note about this were the requirements to conduct a rather detailed air brake check and to perform parallel parking! I told the examiner that he had to be kidding about the parallel parking! (He wasn't.) Actually, it wasn't very difficult; it involved merely backing up and cutting in beside the curb--without having to park between other vehicles, thankfully. Backing over the curb would have caused me to flunk, and I was careful not to do that. After this, we drove back to the DPS office, where the clerks cut up my operator's license and issued me a new Class B temporary license. Chalk one up for the legislators, regulators and lawyers--God bless 'em! We stayed an extra day here to avoid the storms that came through the Fort Worth area where we live. That gave us time to spend some time with some of our aunts and uncles. Uncle Mac and Aunt Janie met us at The Gin, a restaurant that had been repurposed from an old cotton gin that operated in downtown Belton from 1921 until after World War II. It was a laudable renovation, leaving intact the load bearing brick walls and interesting components like the scale platform used to weigh the wagonloads of cotton as they arrived at the gin. All those who had a part in this project have good reason to be proud. We all enjoyed the historic venue and the lunch immensely, with lots of laughter all around. The next day, we enjoyed a late lunch with Sandy's Uncle Lloyd and Aunt Nettie, then followed them to their new home in the country near Killeen. They showed us around, and we enjoyed the tour very much, thinking this place is perfect for them at this point in their lives after having been married for more than 50 years. I also made a short video in which I "interviewed" them about their courtship, marriage and early years. We've done this with other relatives, and these have proven to be a treasured archive that will not be lost to those who follow. I would have included in the blog a photo of this wonderful couple, but I forgot to take a still shot with my camera after shooting the video. A mind is a terrible thing to waste. Friday will find Phannie pointed toward home, having had a fine two weeks away on vacation…oh, wait! Maybe I shouldn't call it a vacation; that term implies that someone is "vacating" work to engage in recreation, doesn't it? How can we be on vacation from work when we're already on a permanent vacation from work? Not to worry…this is one of those imponderables which I will indeed refuse to ponder, as I am on vacation from pondering, too. Next week will result in more doctor visits; Sandy will be getting a steroid injection to help with arthritis neck pain, and I have a routine checkup scheduled along with a teeth cleaning. It's pretty sad when our human bodies require more maintenance than Phannie. 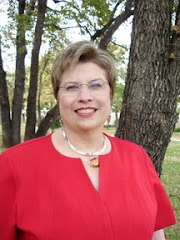 Phannie's next departure will be on April 11, when we will be heading for The Woodlands, Texas, where I may be judging a barbeque cookoff in which my son-in-law, Tyler, is participating. By the way, I always post our location changes on RVillage, so look us up if you notice that we are somewhere near you! While we toiling in our careers in the Dallas/Ft. Worth area, we didn't get a chance to return to this area of central Texas, notable as it is as the place of Sandy's birth, her upbringing and education, and the place she and I met, married, made a home and had our children. Now free from the constraints of work, we have alighted here for a few days to visit family and friends. We're also moseying around, amazed at how much has changed and making many side journeys down memory lane. Someone mentioned that I seem to do a lot of writing about restaurants and, now that I think about it, I guess I do. I suppose that's because eating is something we, like most folks, do every day. We tend to eat mostly at restaurants, and we like to keep a record of the ones we like and don't like. If some reader finds the information useful, then that's all the better. Also, trying new restaurants is sort of a hobby. We don't really have any interest in sports, hunting, fishing or golf, so the money we save from those pastimes helps subsidize our foodie adventures. With this in mind, I will continue this practice by reviewing Oscar Store, out in the country east of Temple. 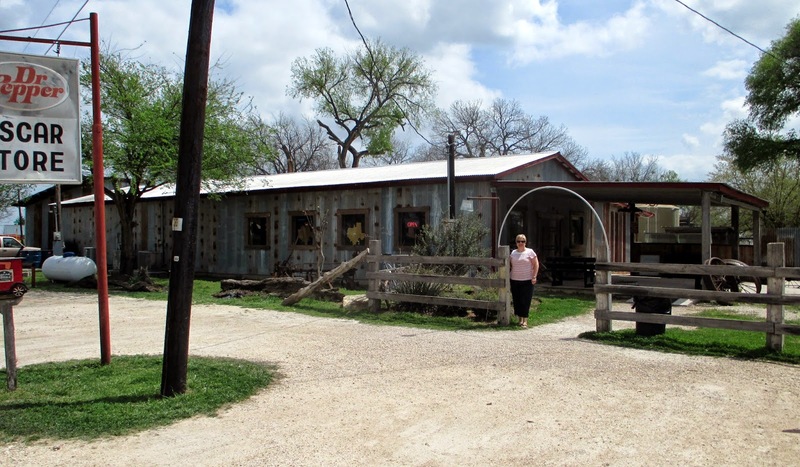 This is another of those quaint places in the middle of nowhere--in this instance, Oscar, Texas, a tiny wide place in the road. A sharp entrepreneur turned a ramshackle general store into a country restaurant, beer joint and dance hall and has apparently done quite well for himself. 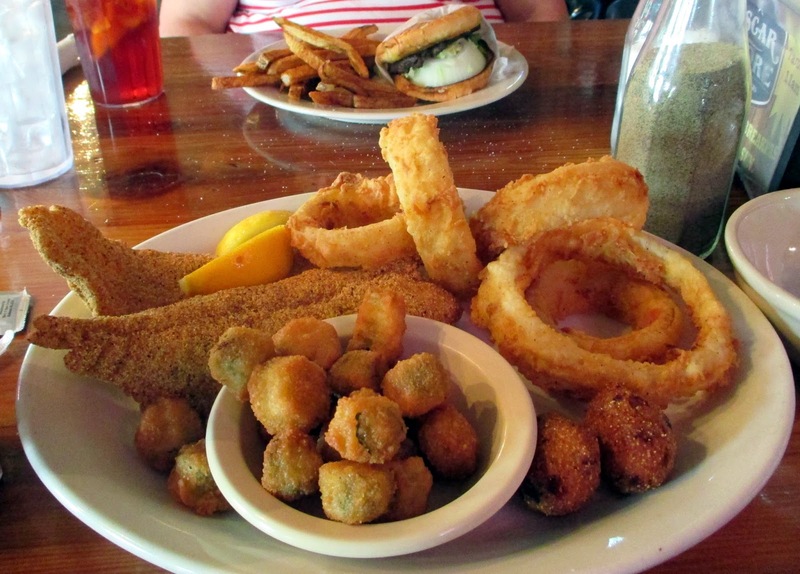 We tried the hamburgers, catfish and onion rings, finding the burgers and rings outstanding, while the catfish was just so-so. (It was frozen catfish, not fresh--a major transgression on their part). While we were roaming around Lake Belton, we happened upon Westcliff COE Park, which we will certainly be patronizing during our next visit. This campground has a goodly number of spaces right at the edge of the water. We also had dinner with Rev. John Abbey and his wife, Linda, friends for, let's see, about 40 years. We had a great time with these fine folks. 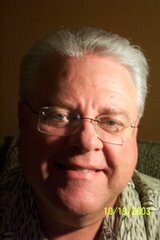 Besides being a church pastor, John is also an accomplished musician, and we have had a lot of fun over the years playing organ and piano at a number of churches and other public venues. We have decided to stay put here for an extra day until the threat of thunderstorms, forecast for tomorrow, goes away. We will use that time to catch up with more of our friends and relatives.